The Inca are believed to have come from the Tiwanaku area of Lake Titicaca at about 900 AD and settled in Cuzco about 200 years later. Conventional academics insist that they founded Cuzco, and built everything called “Inca”. However, the glaring variations in construction techniques that we find in what is left of preHispanic Cuzco tell a different story. Brien will tell us what he has discovered about the technology used to create these structures and also give an examination of the ‘LongHead’ of South America, a bizarre race, who often had red hair and were of unknown origin. They had incredible megalithic walls, advanced technology and strange energies that are still present there. 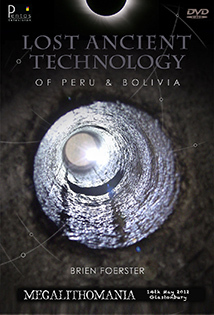 Join Brien, with Robert Schoch and Hugh Newman in Peru and Bolivia in November 2012.